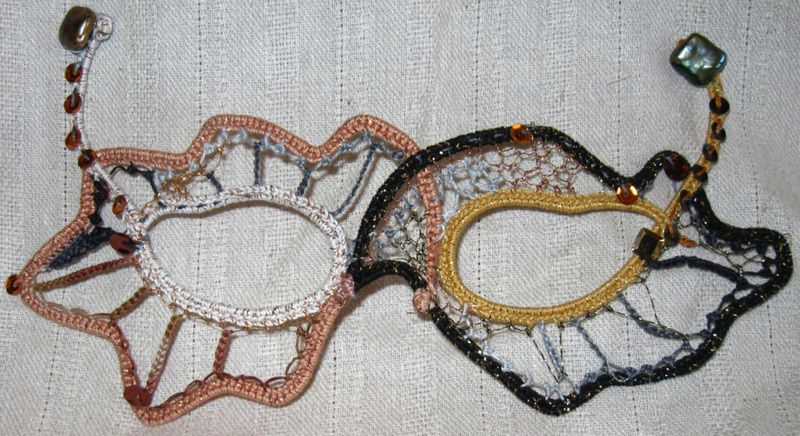 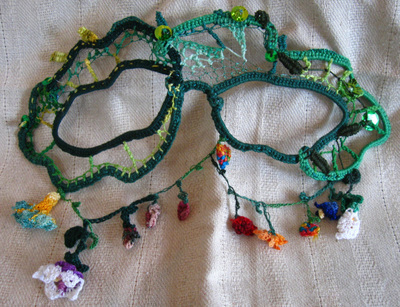 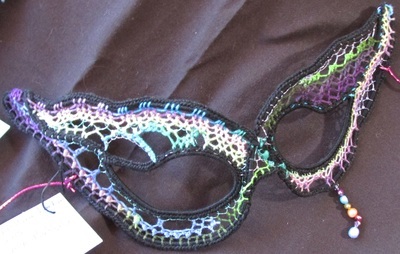 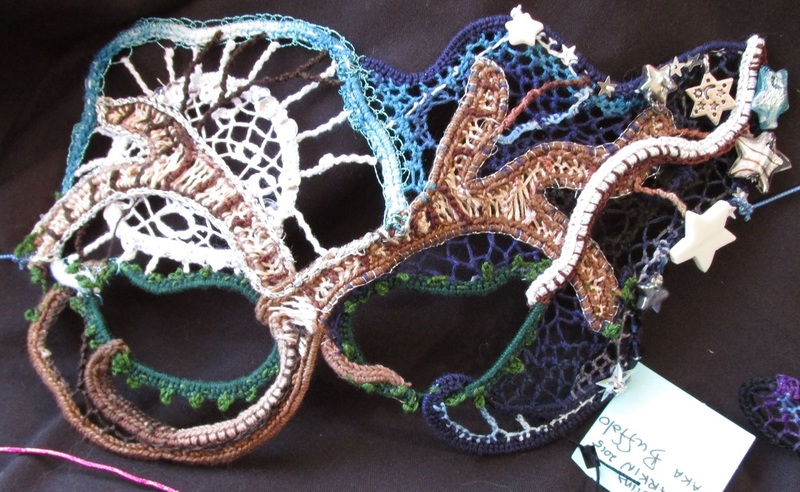 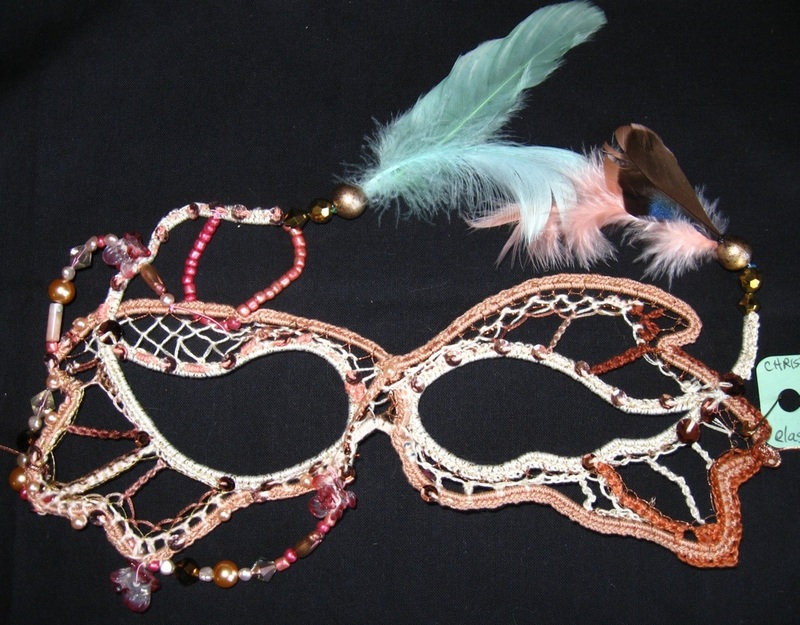 Next to her hats, Buffalo's needlelace masks are her most popular item, perfect for Halloween, Mardi Gras or fancy masked balls. 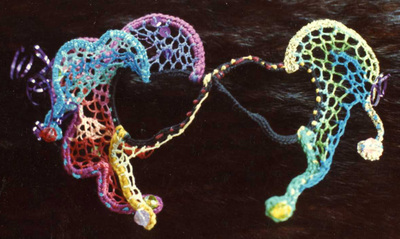 They are watercolor paintings rendered in thread. 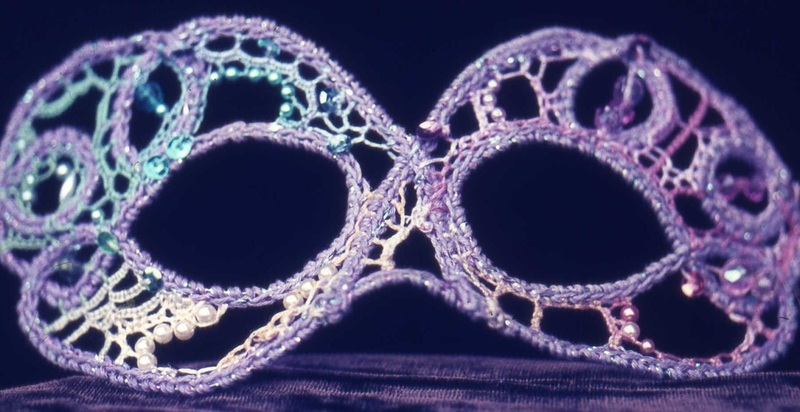 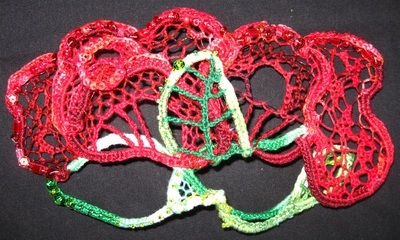 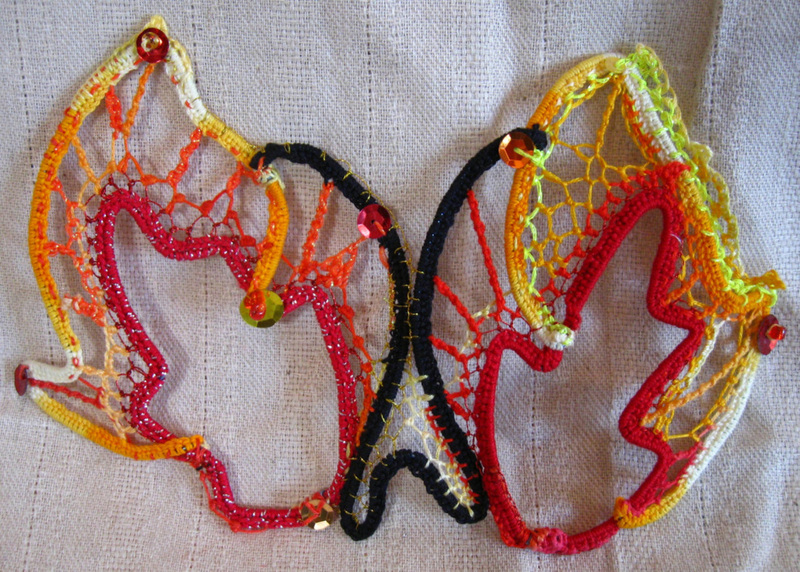 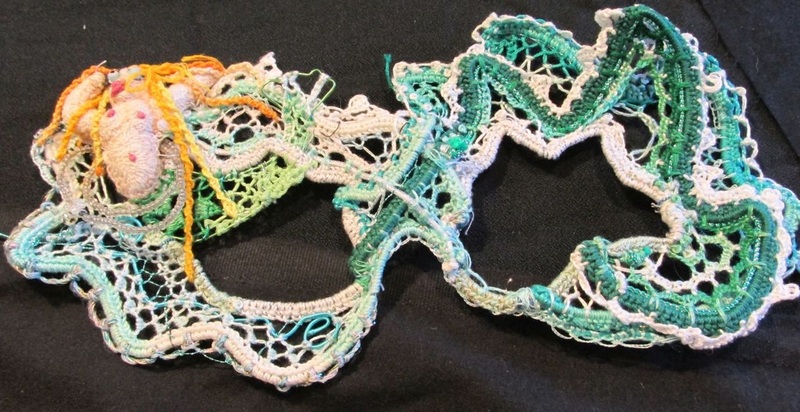 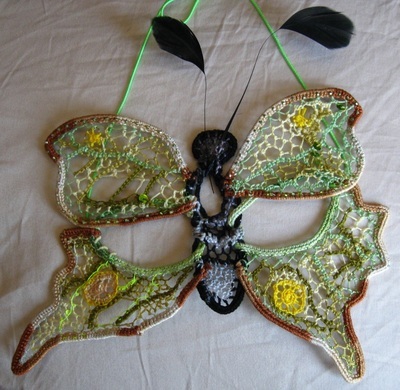 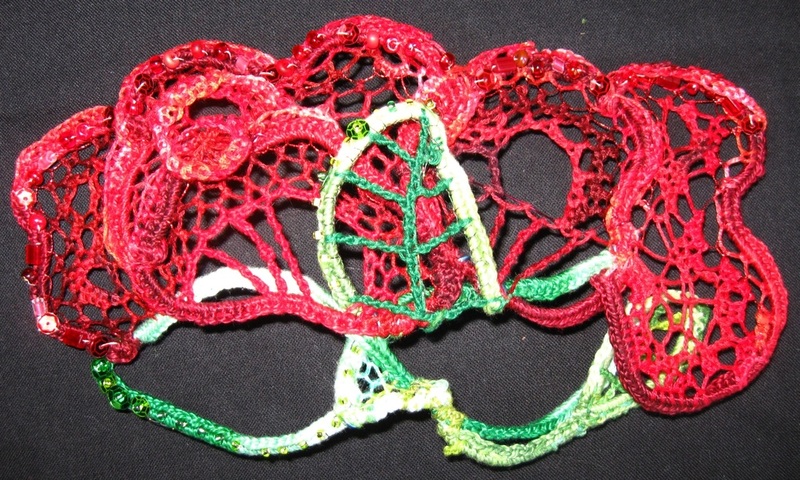 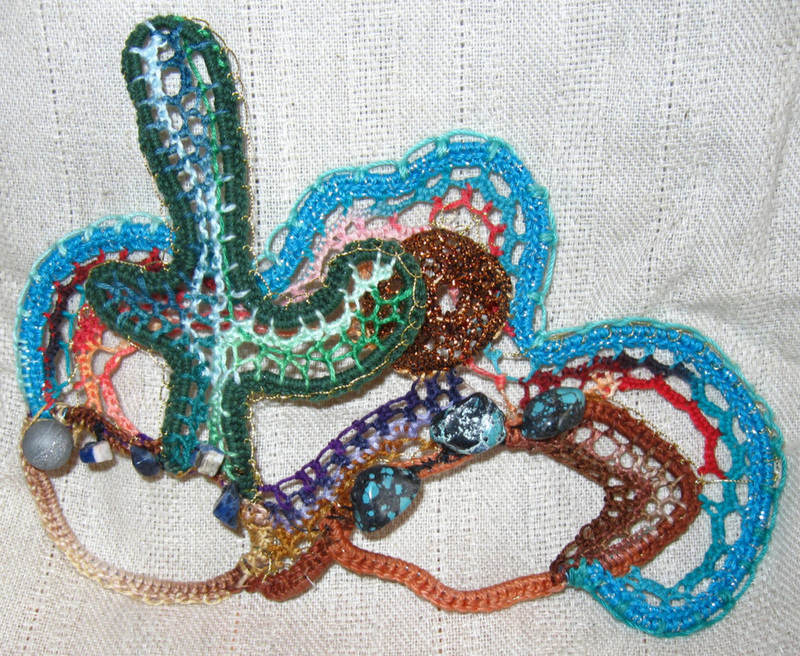 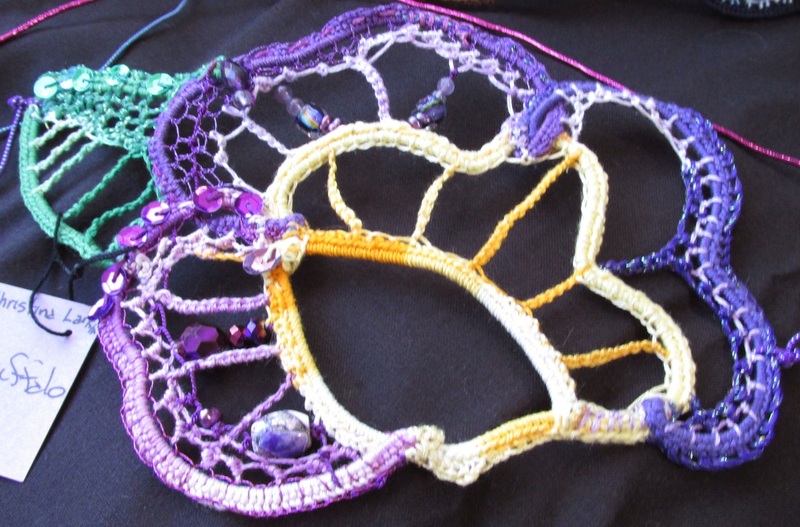 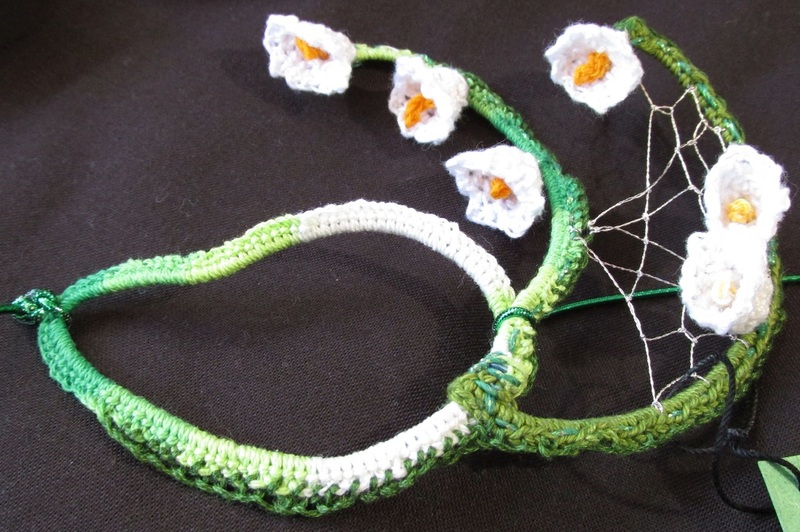 Needlelace is a form of embroidered lace that dates back to the pre-Christian era. 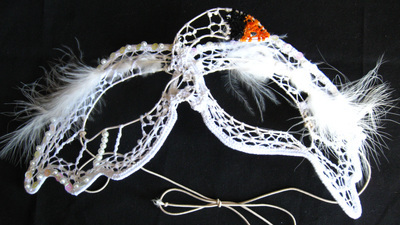 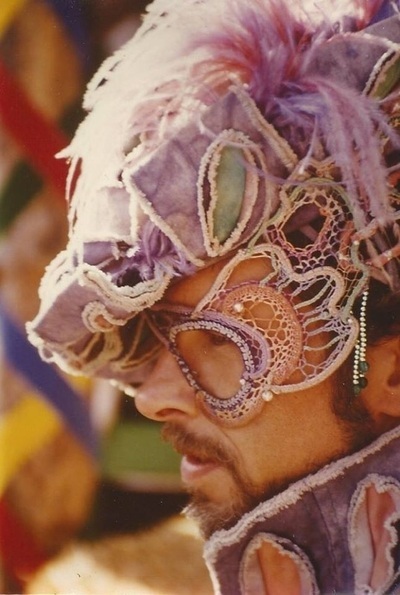 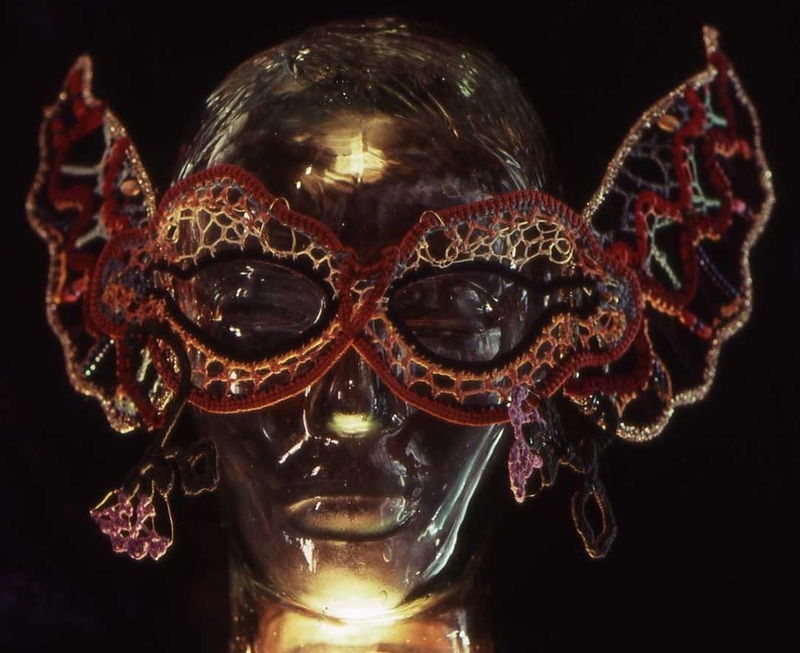 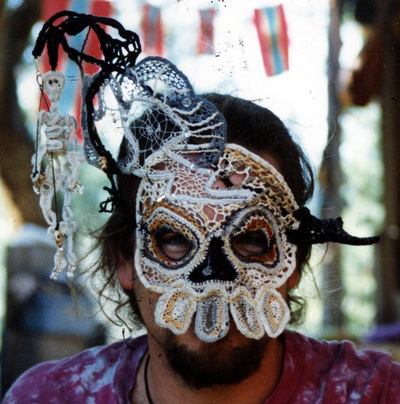 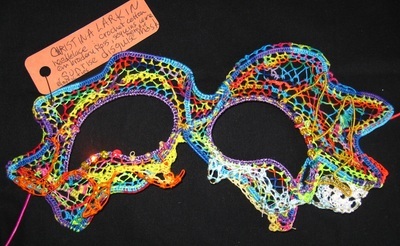 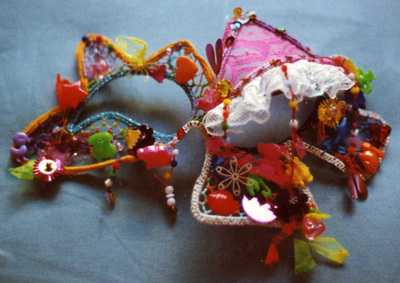 Buffalo uses wire as a framework for the masks, but she also makes freeform lace pieces as hat veils and inserts for clothing. 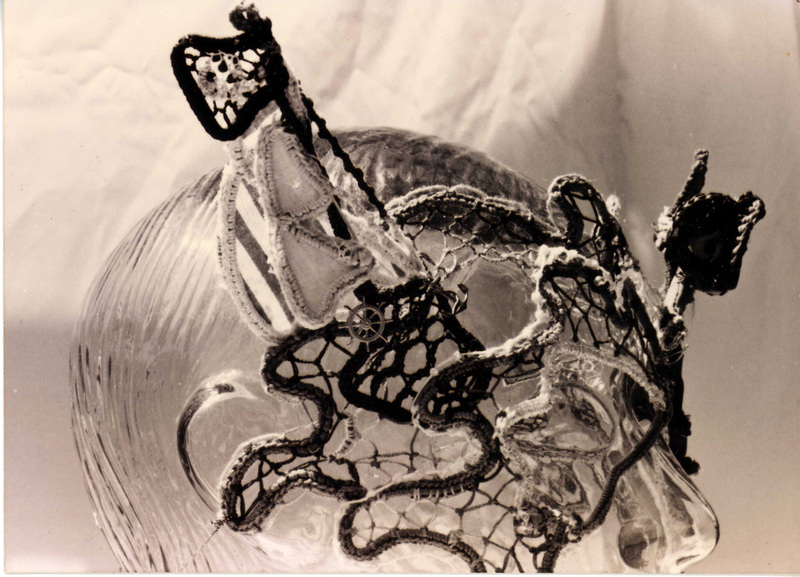 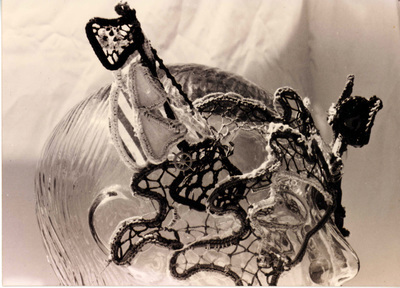 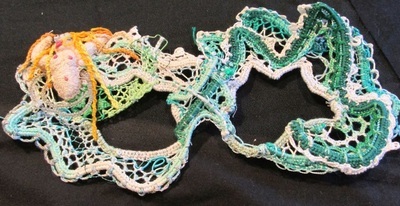 See the lace gallery for other examples, including a lace corset and Elizabethan collar.